Are you the type of parent that struggles with getting your kid off their phone? Do you seem to have ongoing issues with getting your kids to do their chores, outdoor activities, or anything else that doesn’t involve their phone? Do you wish to have just a little bit more control over how much time your kid spends on their smart devices or social media, whether they’re at home or out and about? Well, the Unglue app might be the perfect solution for your family! 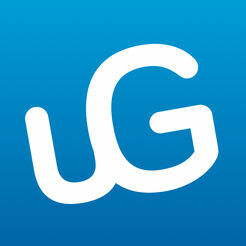 In a nutshell, Unglue is an app designed to help both parents and kids win when it comes to screen time management. 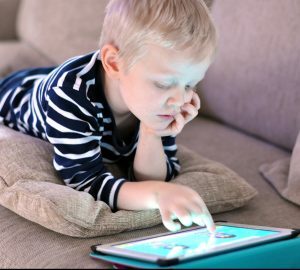 Taken from their website, this app is described as, “Internet balanced, end screen time battles, start healthy habits.” There are two apps involved with Unglue that work together; Unglue for parents and Unglue for kids. The parent app lets you set up boundaries, controls, and expectations on your kid’s phone in regards to their usage and time. You can set controls over things like internet scheduling for each day, pausing the internet, blocking adult content, limiting entertainment time, self-managing time, chores for time, and activity reports to see what apps they are using the most on their phone. The kid version lets your kid have limited control over their own screen time. For example, they can see how much screen time they have in their time bank, rollover unused minutes, earn minutes by doing chores, learn time management skills, and set schedules, reminders, and notifications. Bottom line, this app helps both you and your kid win; you have more control over their digital life, and they have more freedom (within boundaries). Also, whenever your kid feels empowered, a few positive things happen as a result: their self-worth and confidence grow, they mature in life skills, they form healthy habits, and their attitude towards life is more positive. And that’s what Unglue can accomplish; it empowers your kid within set boundaries. For more information or to download this app, please visit www.unglue.com.